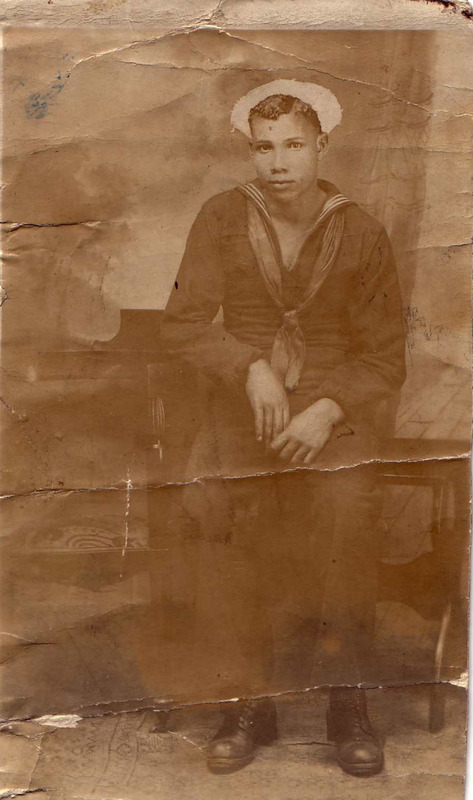 WASHINGTON – Edward Wilson, a mere 19, was one of several African-American crewmembers aboard the USS Conestoga when it mysteriously disappeared at sea after it departed March 25, 1921, from San Francisco for Hawaii. For nearly a century, what happened to the 56-member crew has been a puzzling footnote in U.S. Navy history. Williams’ relatives, Annika Cropper and Cynthia Thomas, barely knew he existed, much less his fate. Now, the 95-year-old mystery has been solved. The National Oceanic and Atmospheric Administration (NOAA) announced during a special memorial for its crew in Washington last week it has found the shipwreck off the coast of San Francisco. Ironically, the USS Conestoga was one of the first times African Americans were ever allowed on a Navy vessel, a retired general at the event said. Cooper and Thomas were the only African Americans among the crowd of crew members’ families sitting in the memorial’s Naval Heritage Center. 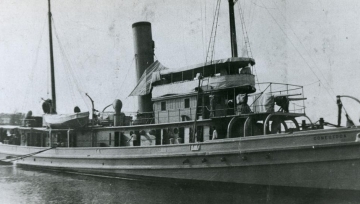 Cropper, who works in Los Angeles, happened to be in Washington when NOAA reached out to inform her that the ship on which her great uncle disappeared so long ago had been found. She said she knew very little about Wilson, other than the fact he and her grandmother were close. Like Cropper, Thomas knew very little about her great-uncle. Her grandmother was only around 12-years-old when Wilson left for the Navy, she said. Still, Thomas said was very happy to find what she called closure because of NOAA’s discovery. Officials said they did not know the exact reason why the boat sank, but they speculated it could have been a storm. The boat was bound for Tutuila, American Samoa, by way of Hawaii, officials said. The Navy didn’t know it was missing until it failed to arrive in Hawaii. The Navy carried out an expansive air and sea search, but only a battered lifeboat with the letter “C” on its bow was ever found, hundreds of miles off the expected course. While NOAA could not provide much information on the personal lives of the crewmembers, NOAA Deputy Administrator and Vice Admiral Manson Brown spoke kindly of the crew and their legacy. Cropper said she didn’t anticipate feeling emotional at the event, despite the closure for her family, because she never knew Wilson, but, she said, she was wrong. “When I got there, they gave me a nametag that has his photo on it, and I actually got emotional, because my grandmother was very close to him, and it’s a family history I don’t know much about,” she said. 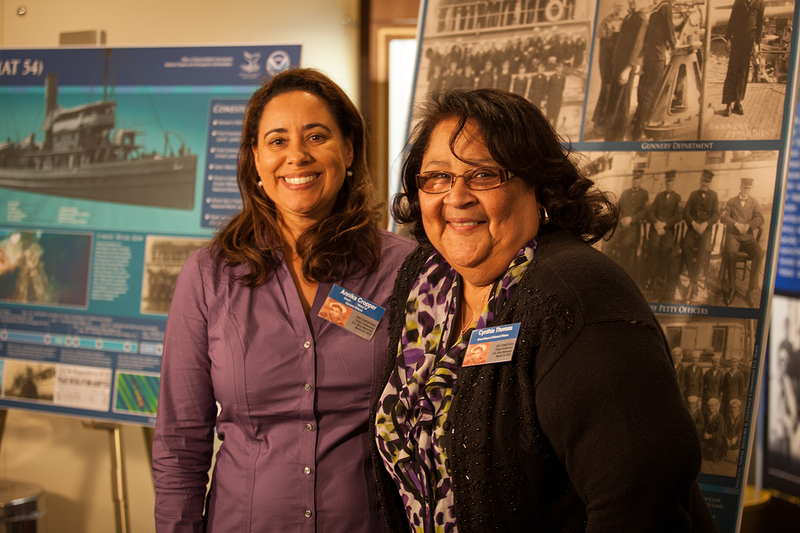 Thomas said the fact that the black sailors were racial trailblazers was important to her. Perhaps one of the best parts of NOAA’s discovery for both Cropper and Thomas was the reconnection of family. The women, who are second cousins, met for the first time and vowed to bring their sides of the family together. Thomas felt similarly, excited at the prospect of expanding her family. Leanna Commins is a reporter for the Howard University News Service and editor of 101Magazine.net. She wrote this article for HUNewsService.com.